Today is Loretta's eighth birthday. Why does that sound so much older than seven? 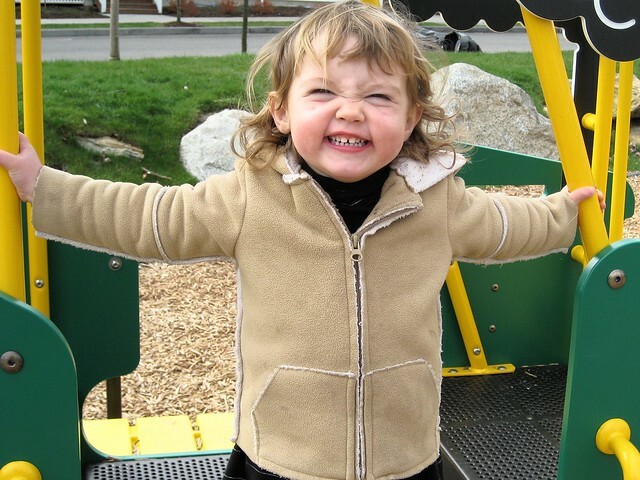 Looking through photos tonight, I'm struck again by what a happy baby and toddler she was and what a happy second grader she is now. Recently, I watched this amazing Ted Talk where Jennifer Senior (author of the parenting book All Joy and No Fun) gave a rousing rebuttal to this idea that parents are responsible for their children's happiness. She says that's too high a bar to set and pokes a little fun at all the ridiculous parenting books out there that serve as "monuments to our collective panic." If I relax, my experience is that parenting itself is the antidote to all the "shoulds" that dominate us. Loretta wants me to get on the floor and play with her and the dog. If I say yes, I get a lot more fun in my day. If I say no, I still get to watch her do it! And that's fun, too. More than anything else--vacations, basketball games, priceless photo moments--we get to be in each other's orbit. We get to brush our teeth together (especially since our upstairs bathroom is being remodeled! ), argue over whether or not she stole my hairbrush again, do chores on Saturdays, share our imperfect lives together. Parenting is about relationship, not about performance. And for me, it's a relationship that gets me to take myself a lot less seriously. P.S. She requested lasagne for dinner. I've pointed you to my standby recipe. P.S.S. I wrote this a few weeks ago after bedtime. be wise, present, or funny. This is the recipe I've been using for at least ten years. Ripped out of a Food and Wine magazine, and everything you want lasagne to be. I swear by the no-boil noodles and never buy the curly kind.